I’m currently a graduate student pursuing Masters in Computer Science at Carnegie Mellon University (CMU). I’m actively looking out for summer internships for Summer 2019 in the fields of Machine Learning and Systems. Prior to CMU, I was working as a Research Fellow at Microsoft Research India under Dr. Prateek Jain. In the project, I was exploring the application of Deep Learning to the domain of Program Synthesis, more specifically to the PROSE framework inbuilt in Microsoft Excel. In the past, I have worked in the fields of Machine Learning and Systems at my various internships at Microsoft Research, Amazon, Microsoft IDC and IIRS. I graduated in Economics and Computer Science with distinction from BITS Pilani, India. During undergraduate days I had worked on a number of projects in web development, machine learning, data mining and software engineering. For more details on my projects, please visit my projects page. Moreover, I love meeting people, public speaking, event management and leading teams in general. Apart from being an active debater and participant in Model United Nations in the past, I have had a food delivery startup of my own along with a team of 5. Also, I led a team of over 300 students and successfully organised Waves 2014, the annual cultural festival of my college. 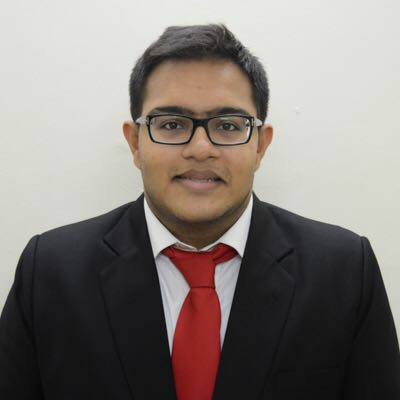 I have also represented India in the HPAIR Harvard-Asia Conference and the PASCH Project, where I completed the A1 and A2 course in Deutsch during a fully-funded 21-day youth camp in Germany.